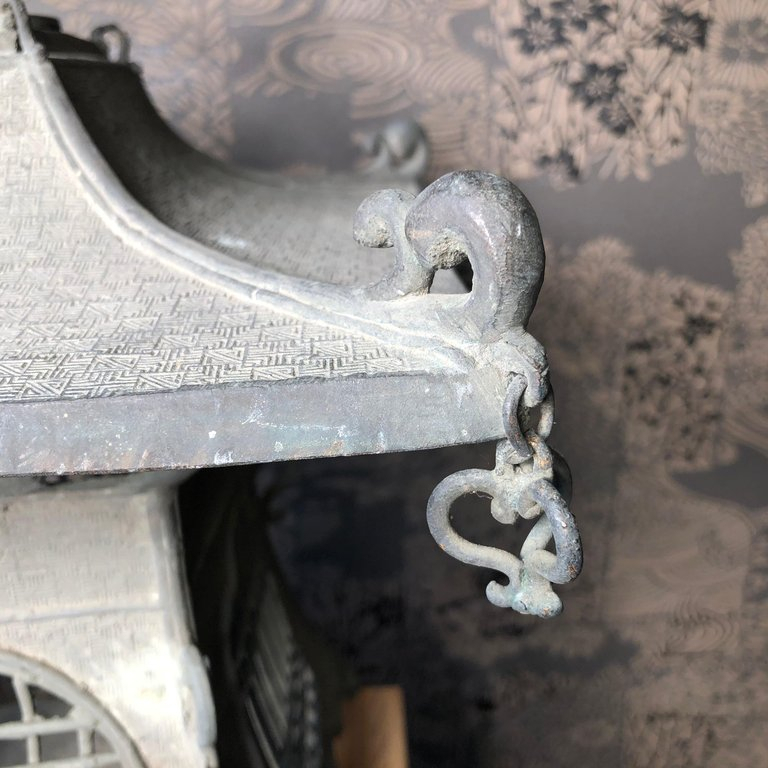 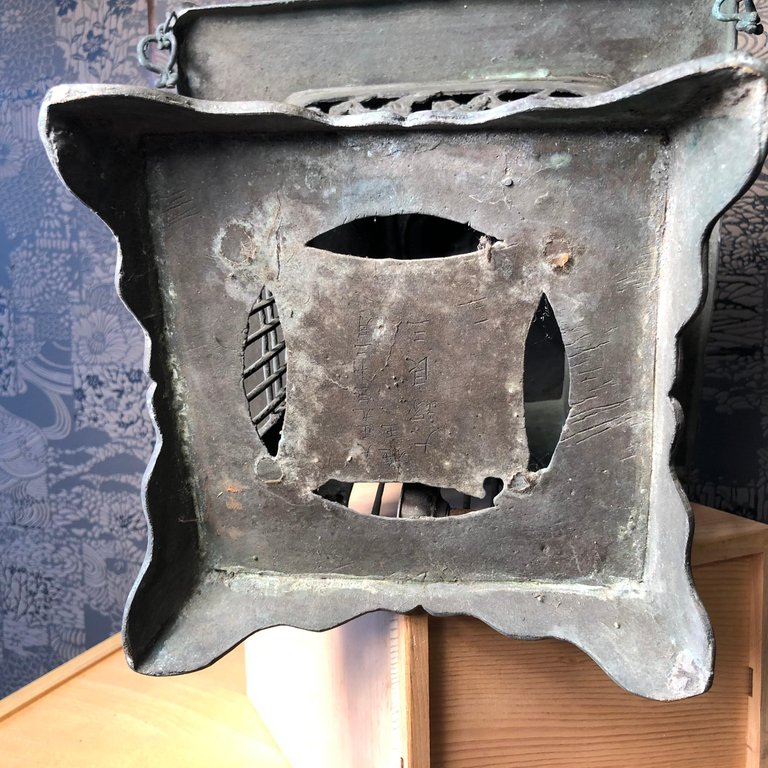 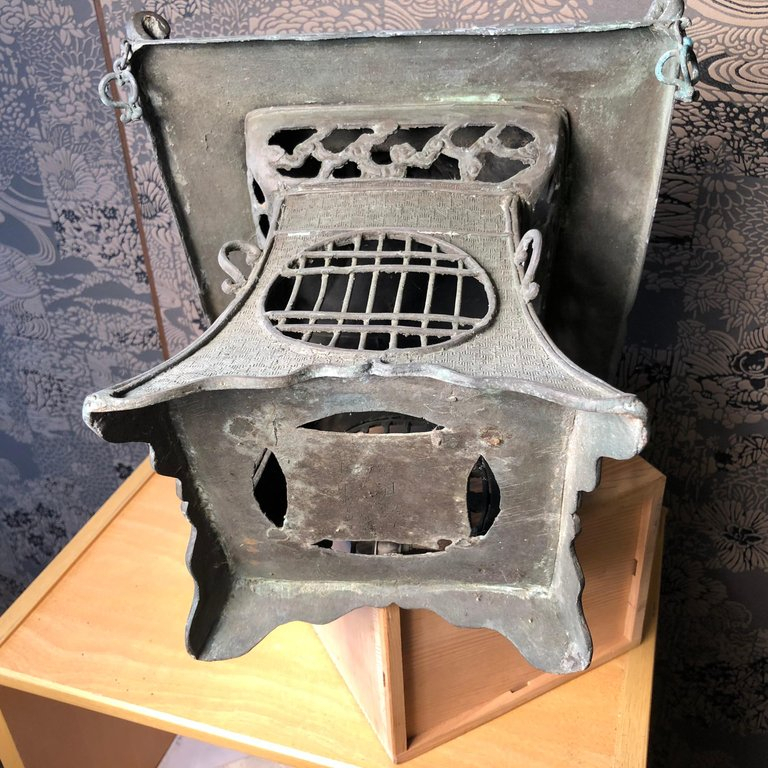 Japan, a fine large antique heavy and hand cast bronze “Pagoda Roof” tapared form lantern with exquisite diaper roof incisings and decorated with dragons and hanging pendantgs at its roof tips..,,superb details from the early Taisho period- one of the finer lantrrns we have handled in over ten years. 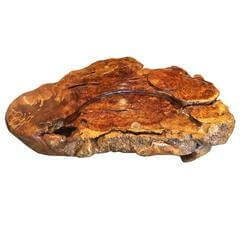 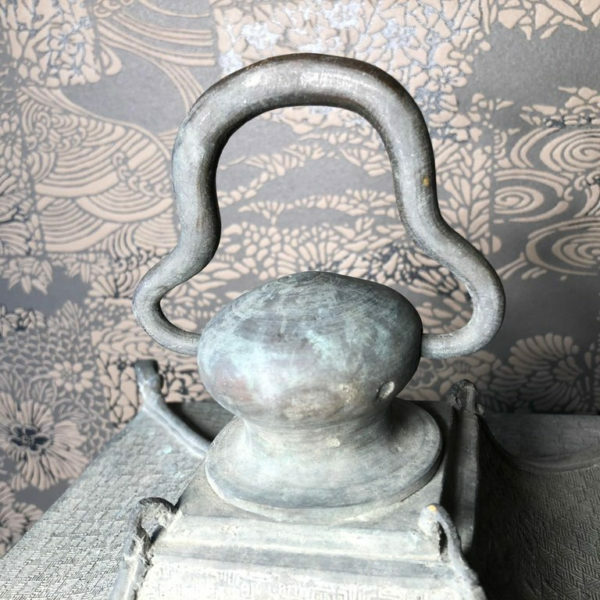 May be suspended from sturdy loop handle or placed on any surface as it includes heavy cast feet. 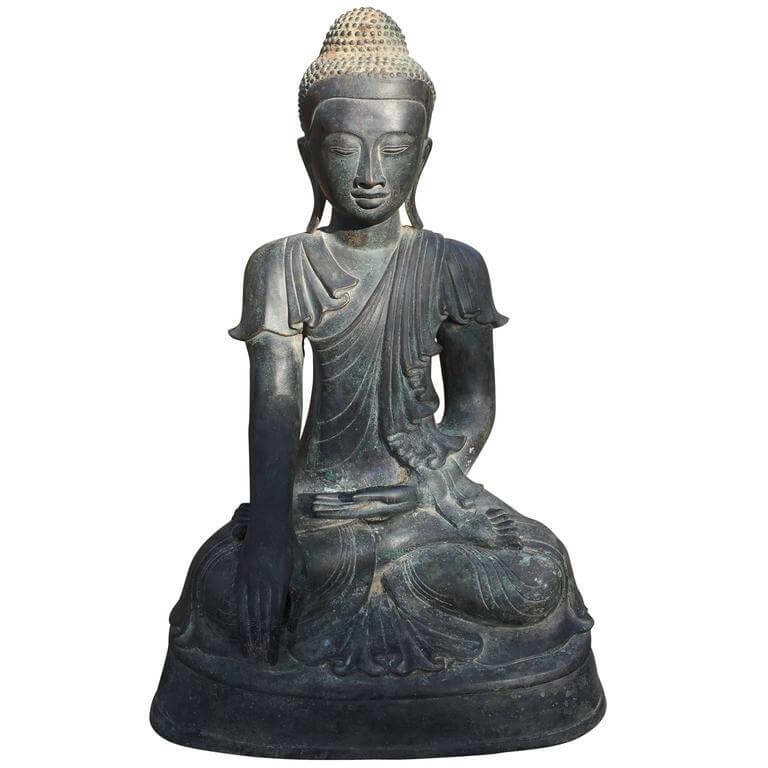 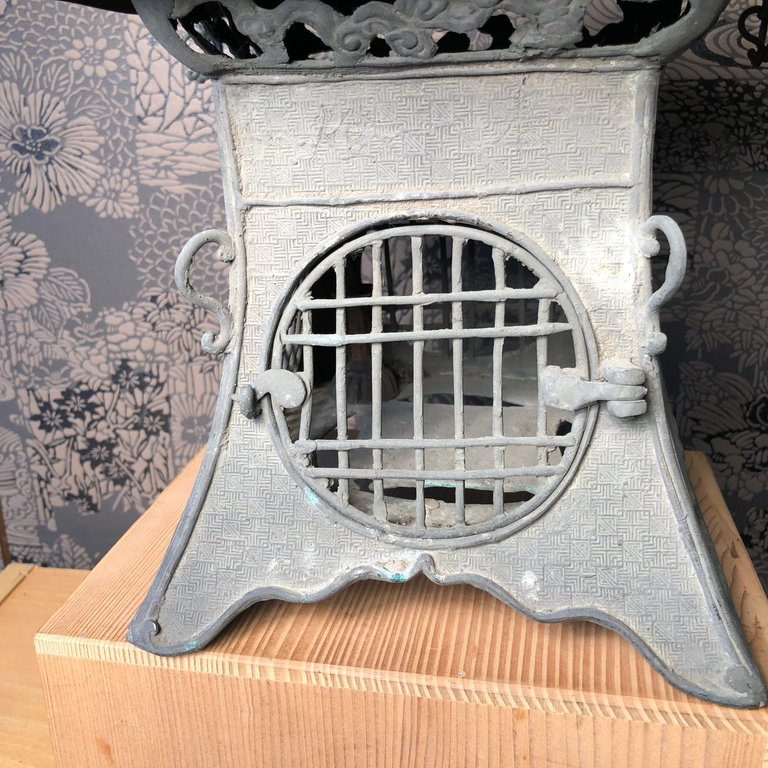 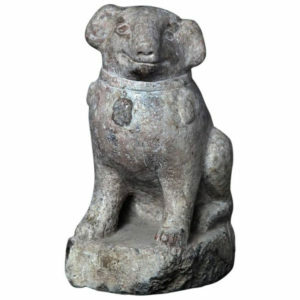 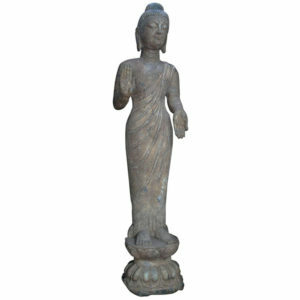 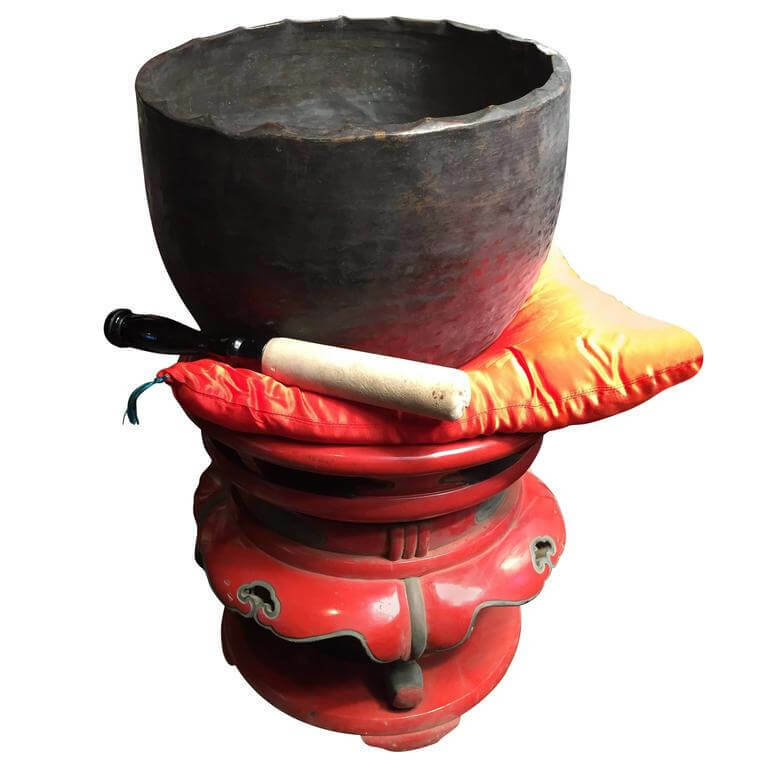 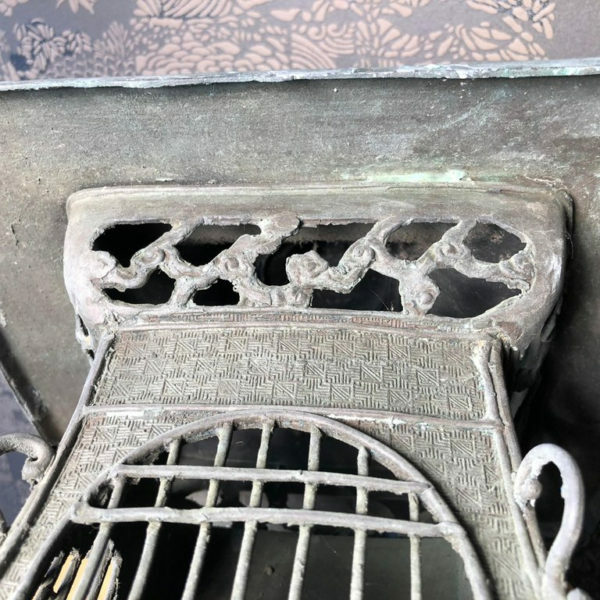 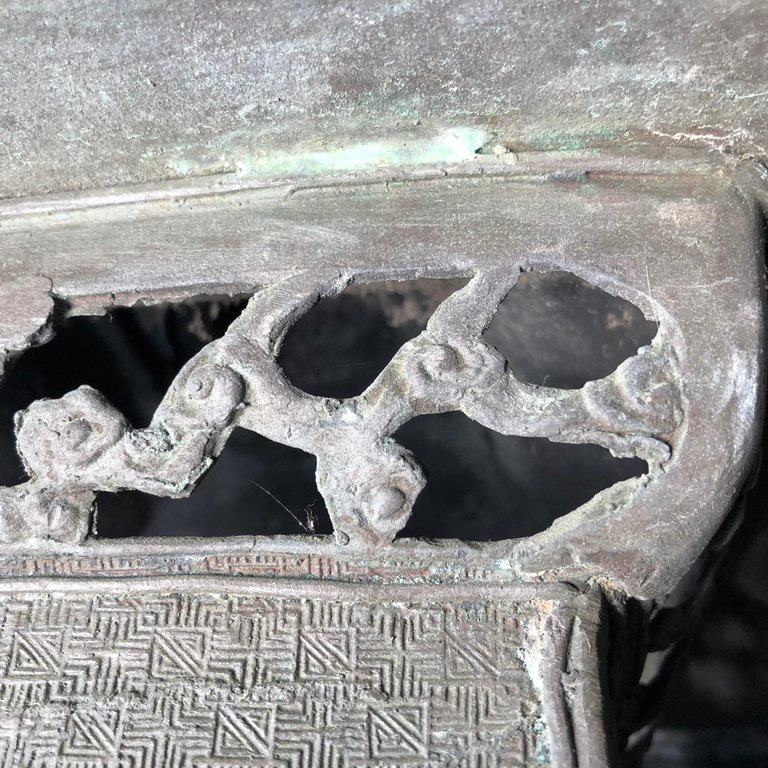 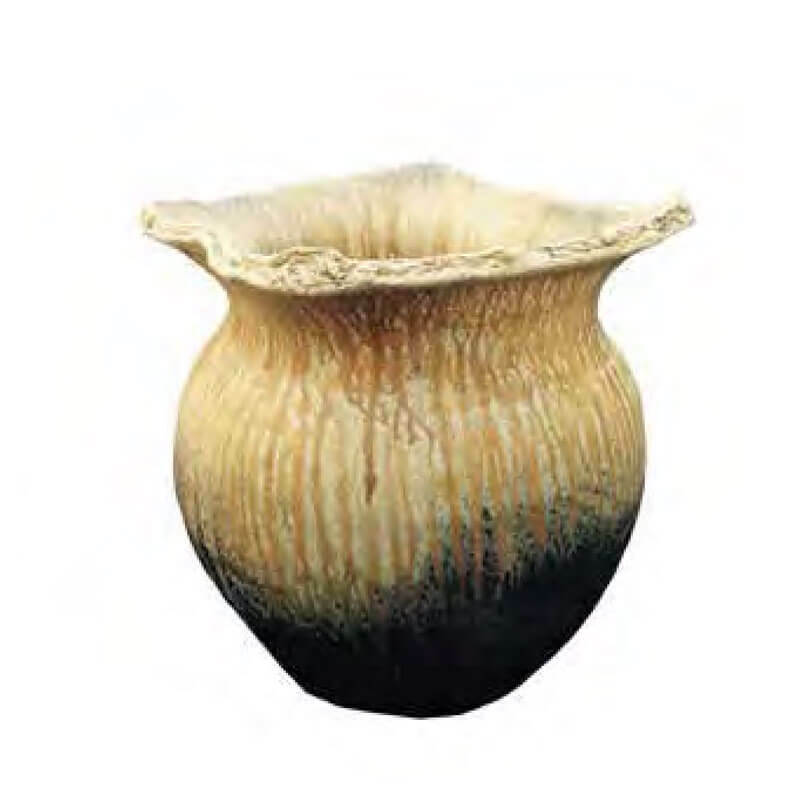 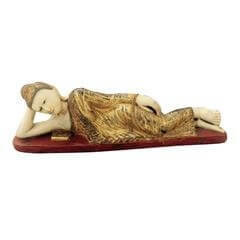 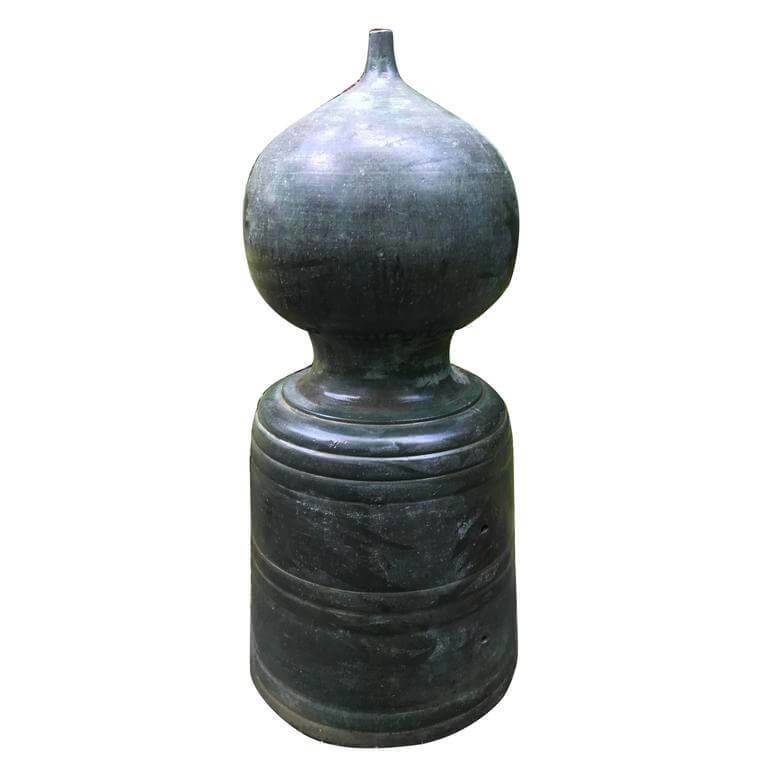 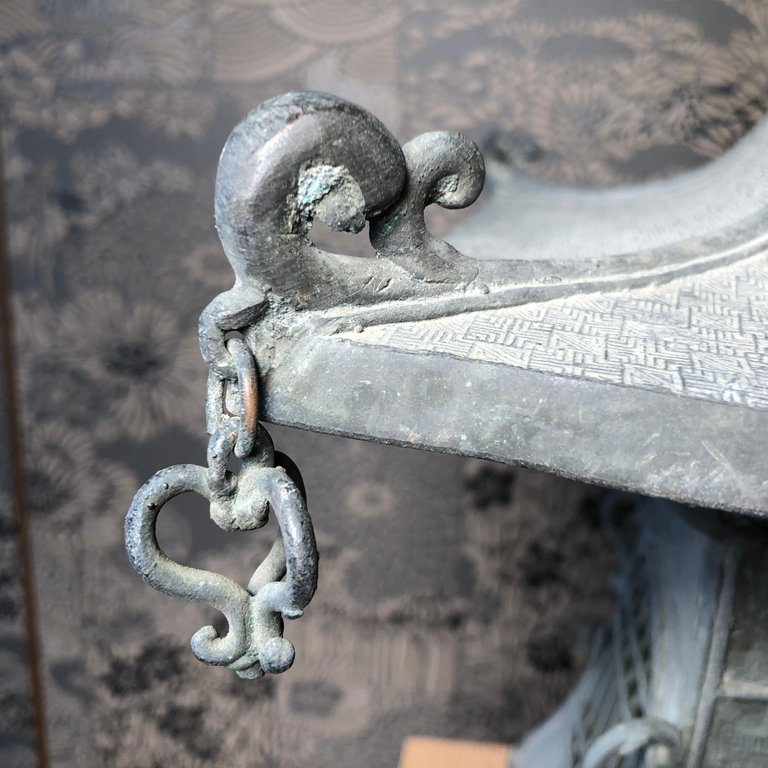 The striking and well proportioned old bronze is fashioned in solid bronze as roof kasa and light chamber or base Hibukuro or kiso all with patina from good age. 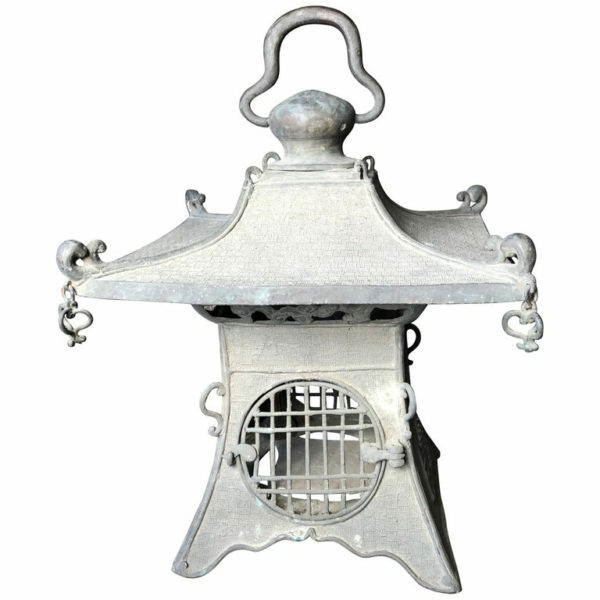 Notice the lovely bronze roof detail and detailed panel grill sides – superior intricately cast details. 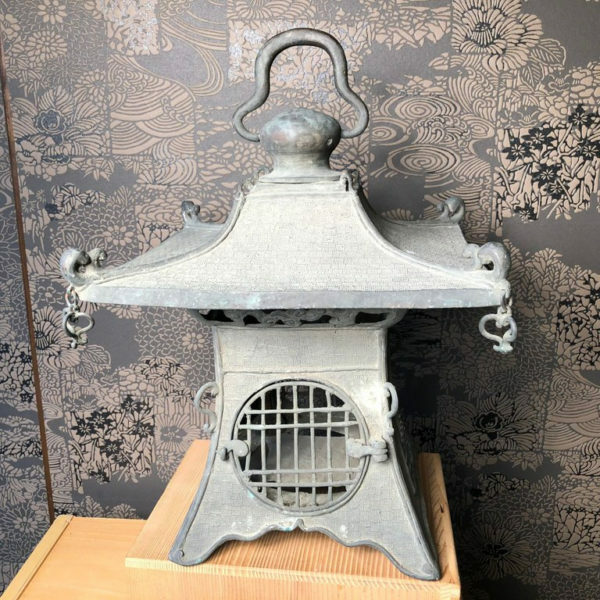 Japan’s stone lantern tradition is a concept that was imported from India and has existed in Japanese temples and gardens since the 7th century. Japan’s lantern tradition was originally conceived as entrance lighting and guardians to temples and pagodas and when lit served as an offering to Buddha. 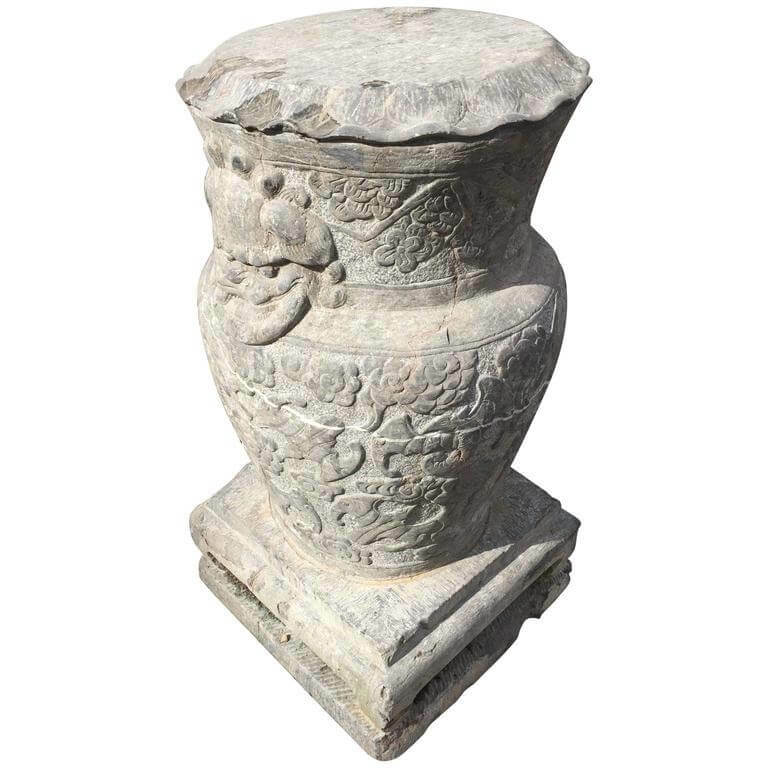 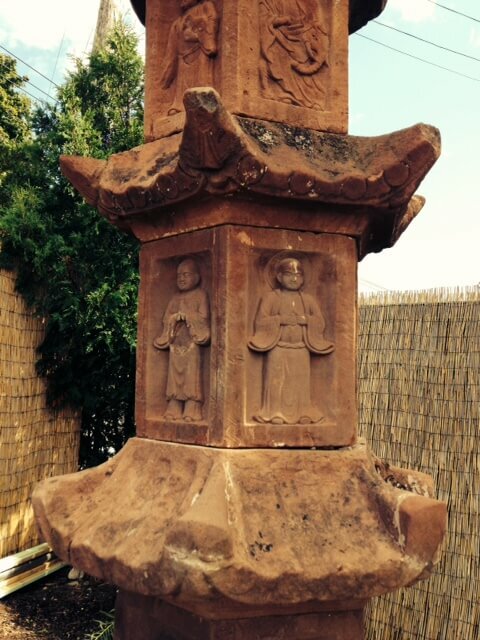 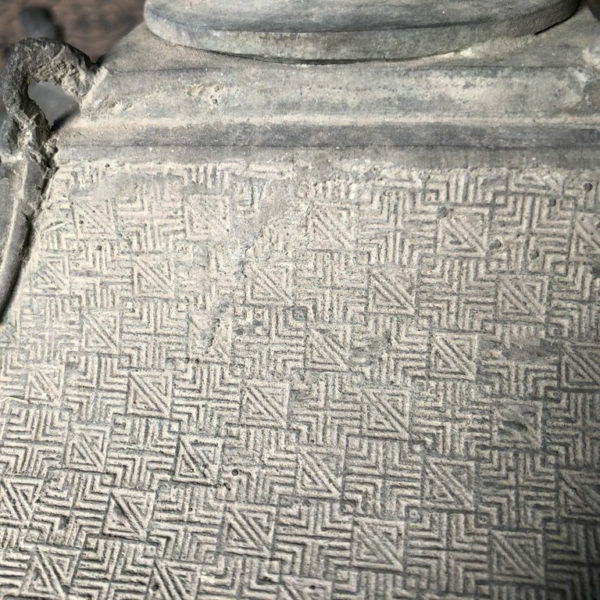 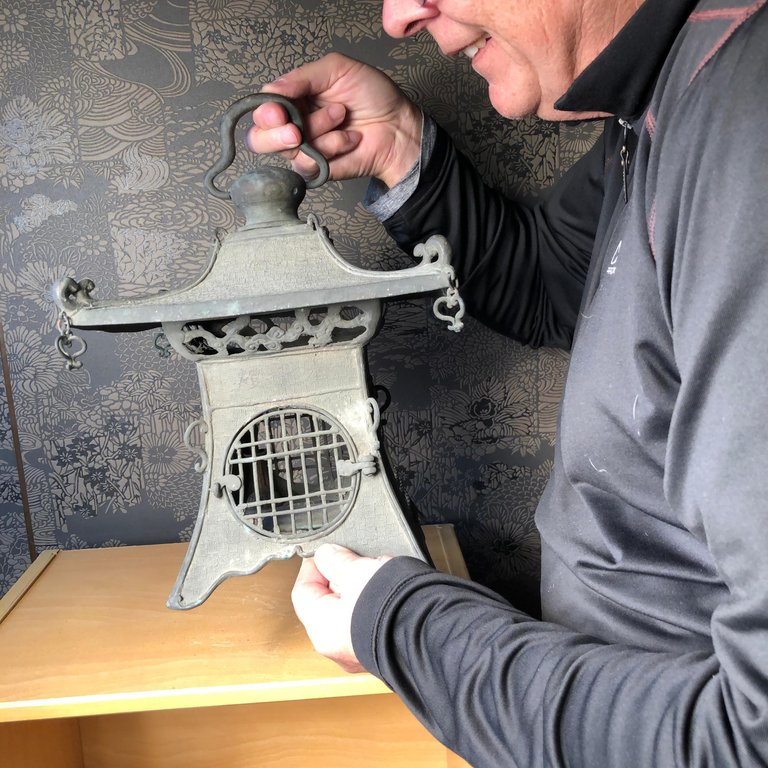 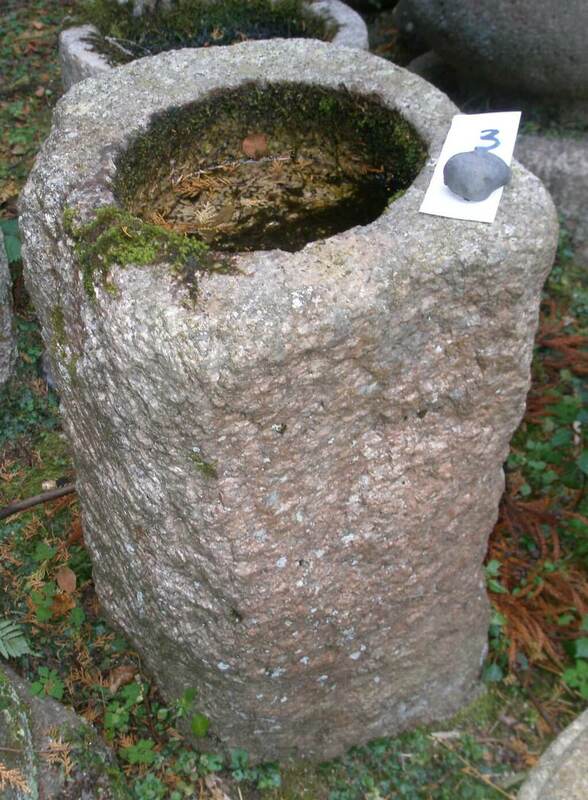 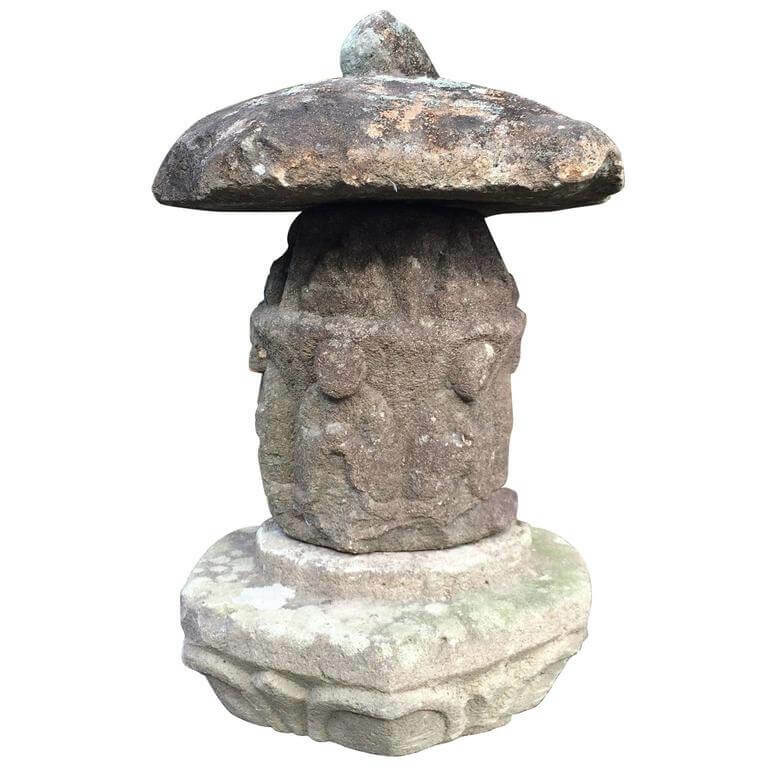 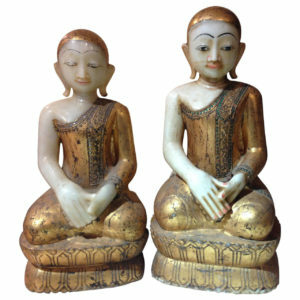 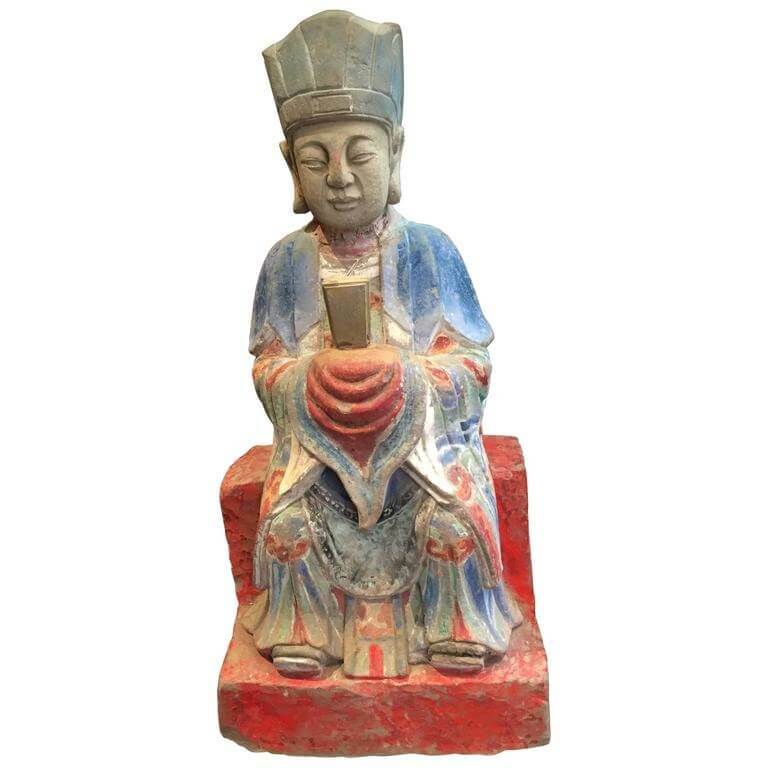 Some of the earliest stone lanterns were carved with Buddhist images on the firebox and usually had compartments for an oil lamp or candle. 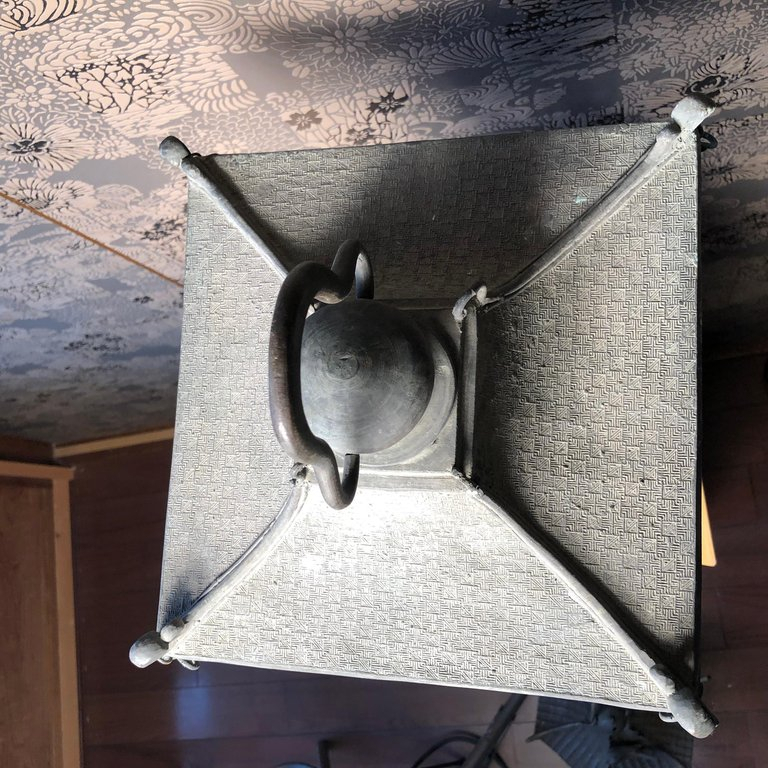 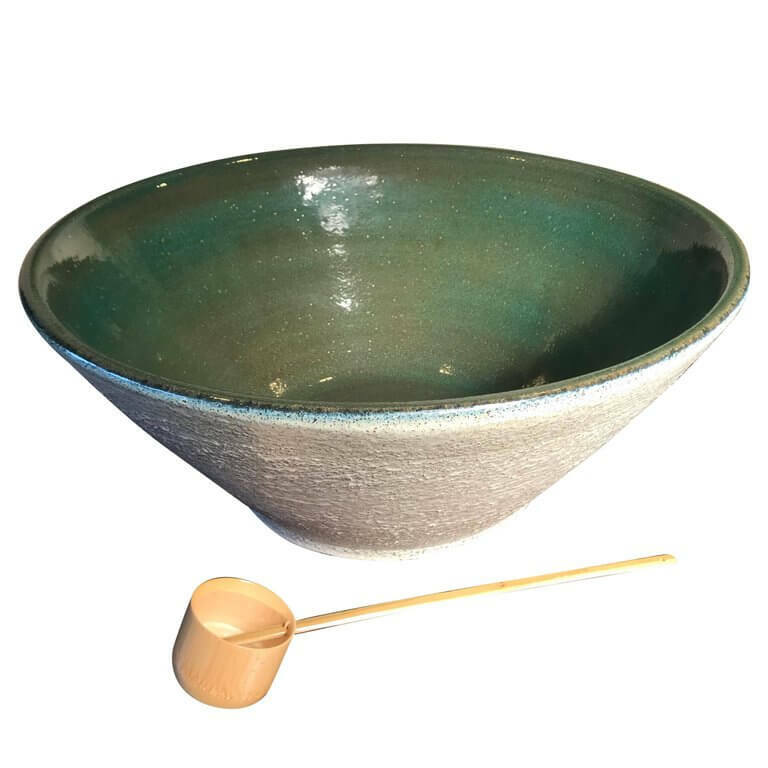 Later on, they became more secular in nature, and their use evolved as functional and decorative elements in traditional Japanese tea gardens where they served as a spiritual source of light for evening tea ceremonies. 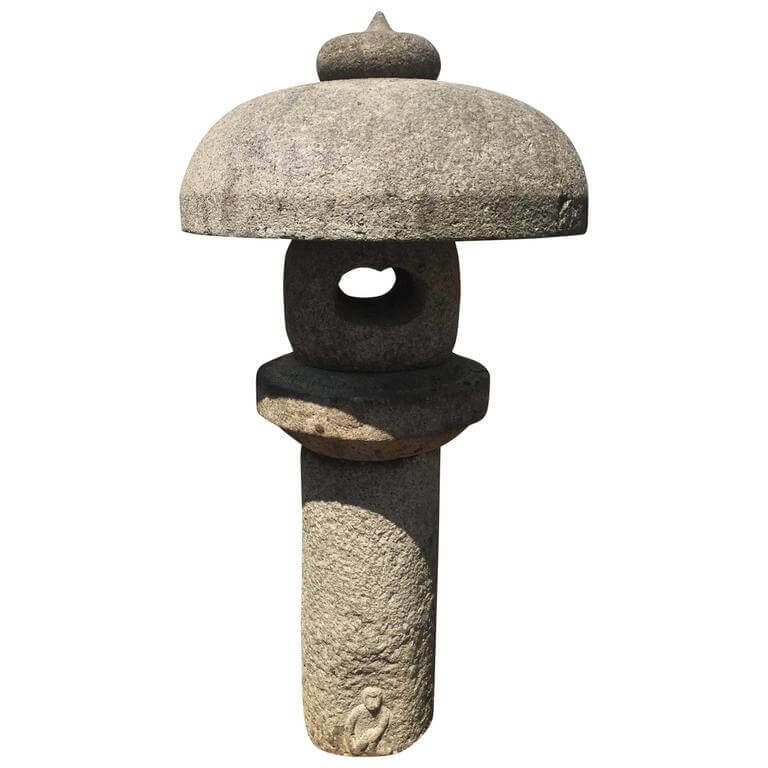 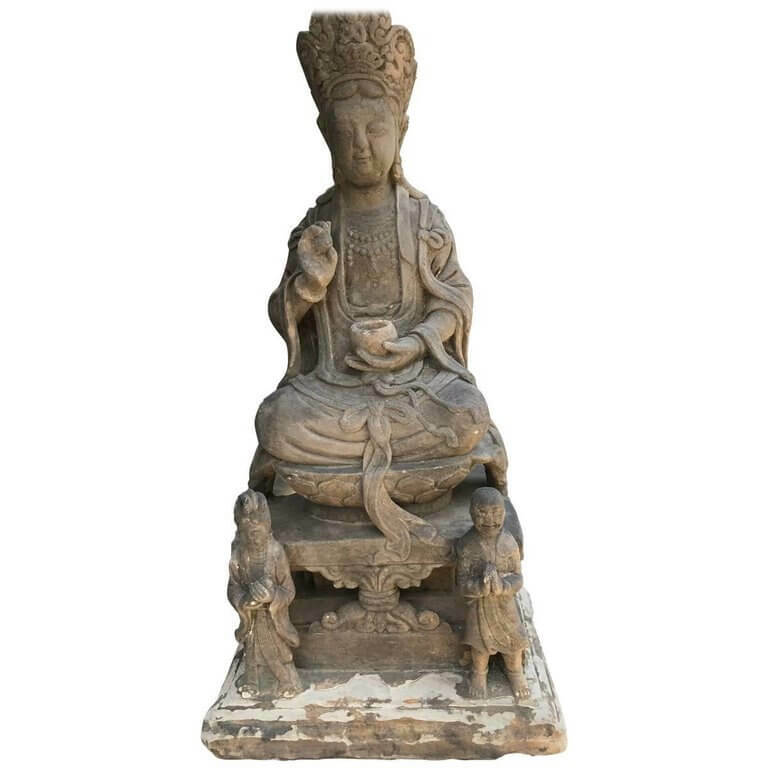 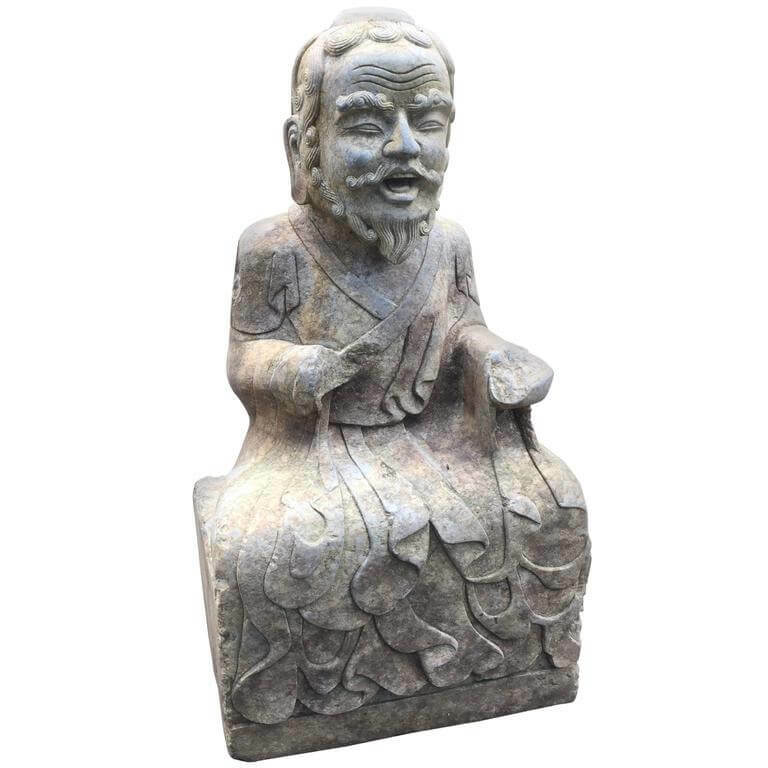 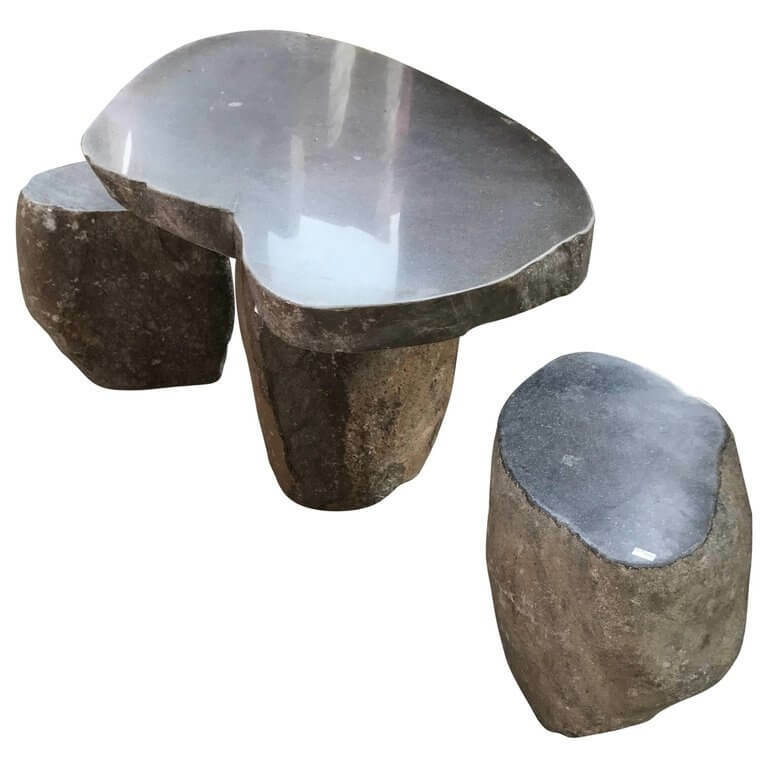 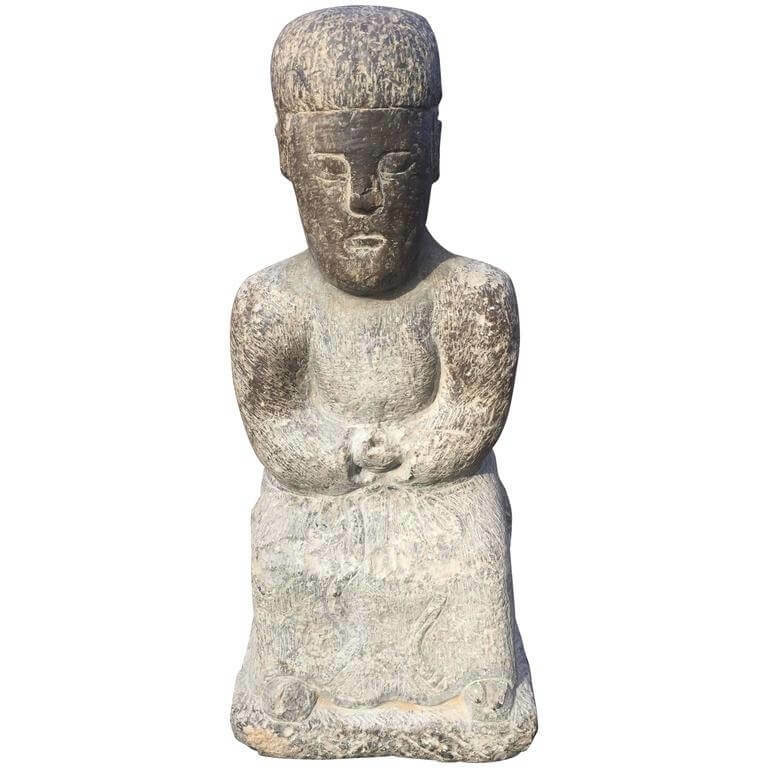 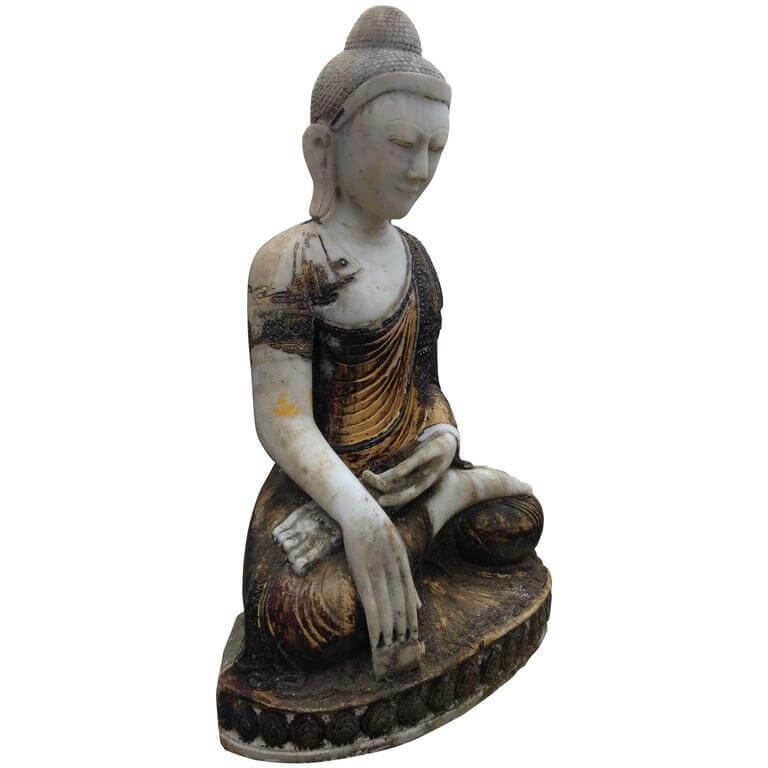 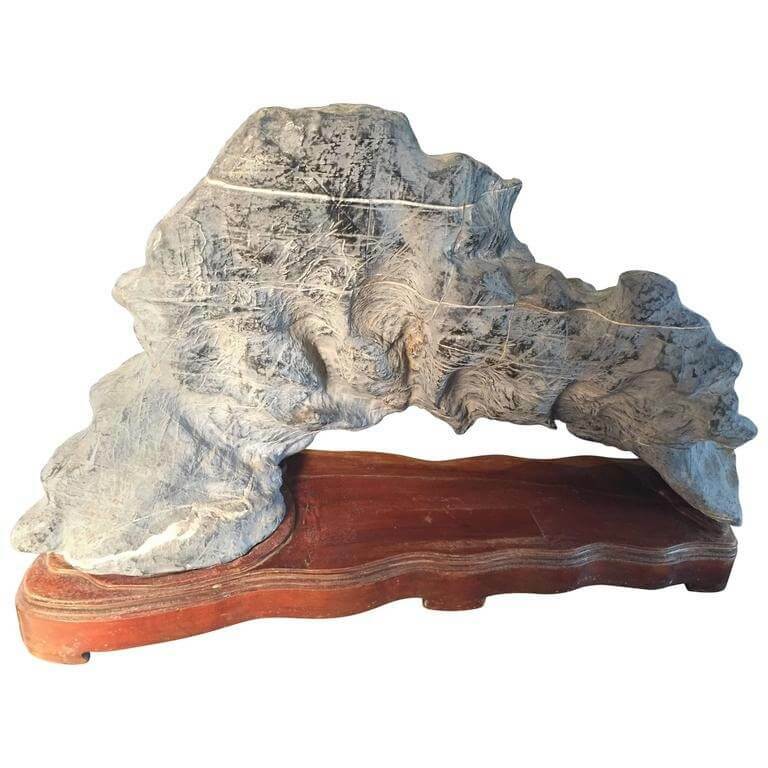 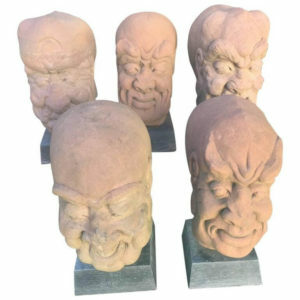 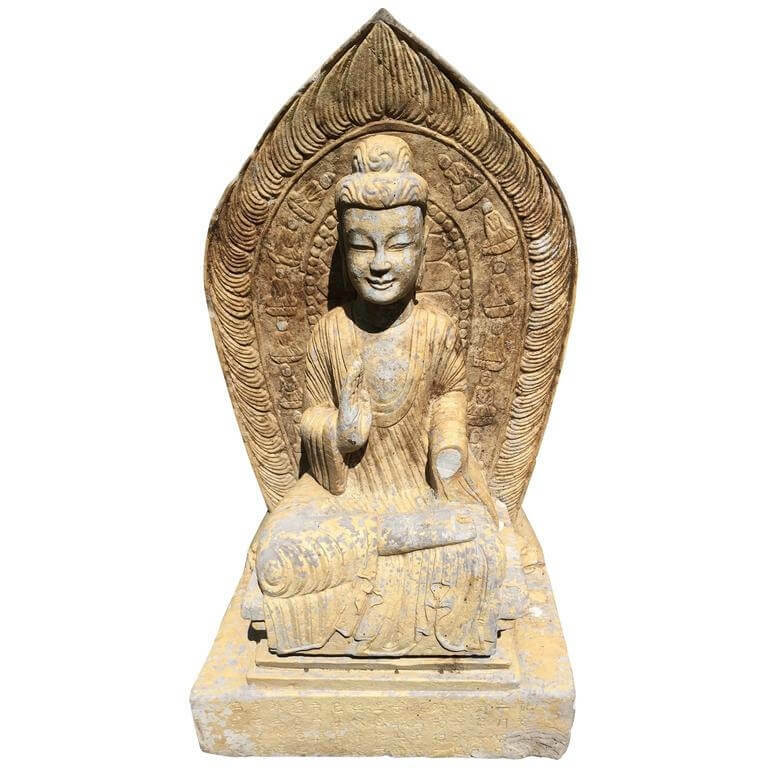 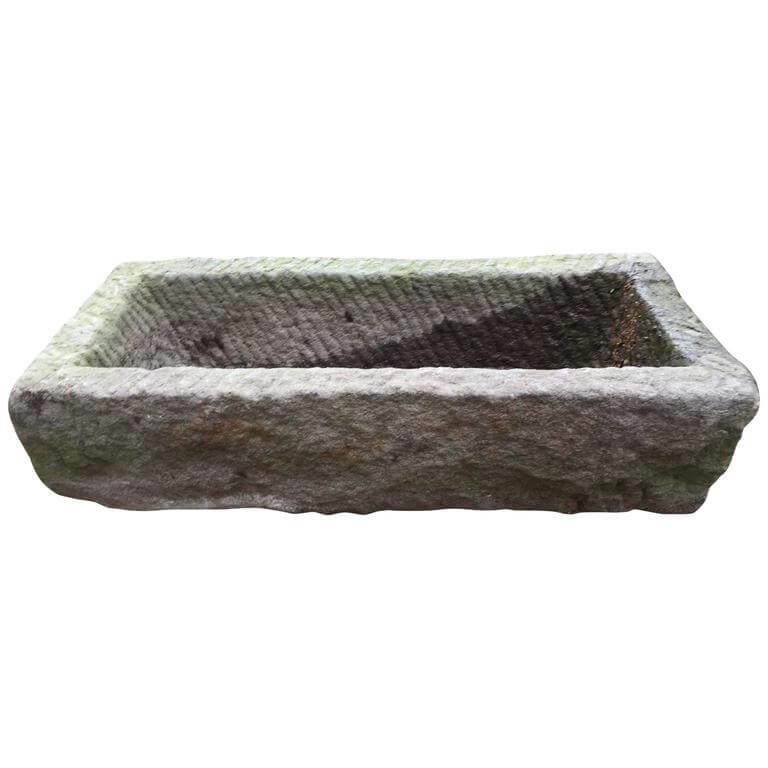 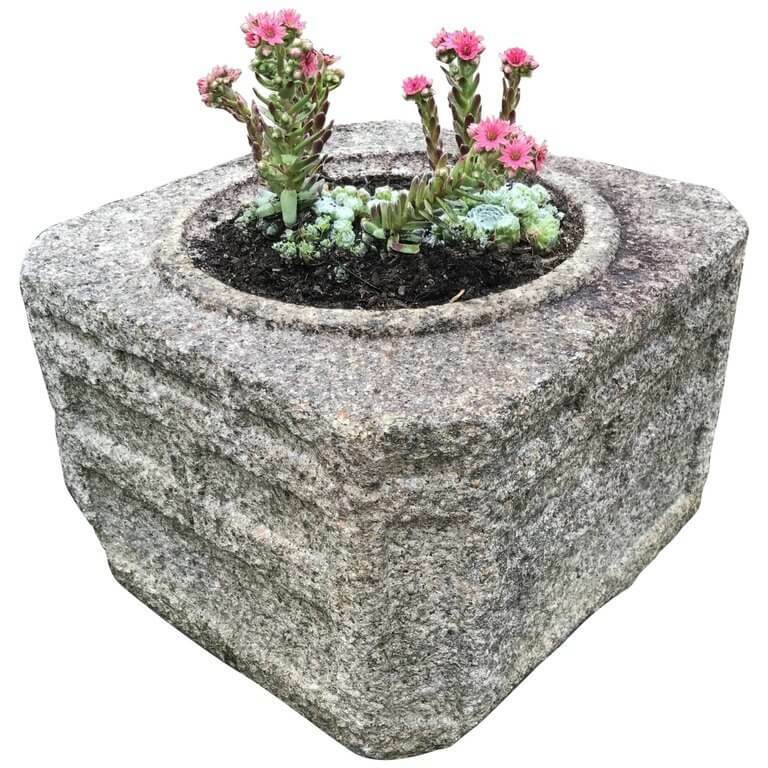 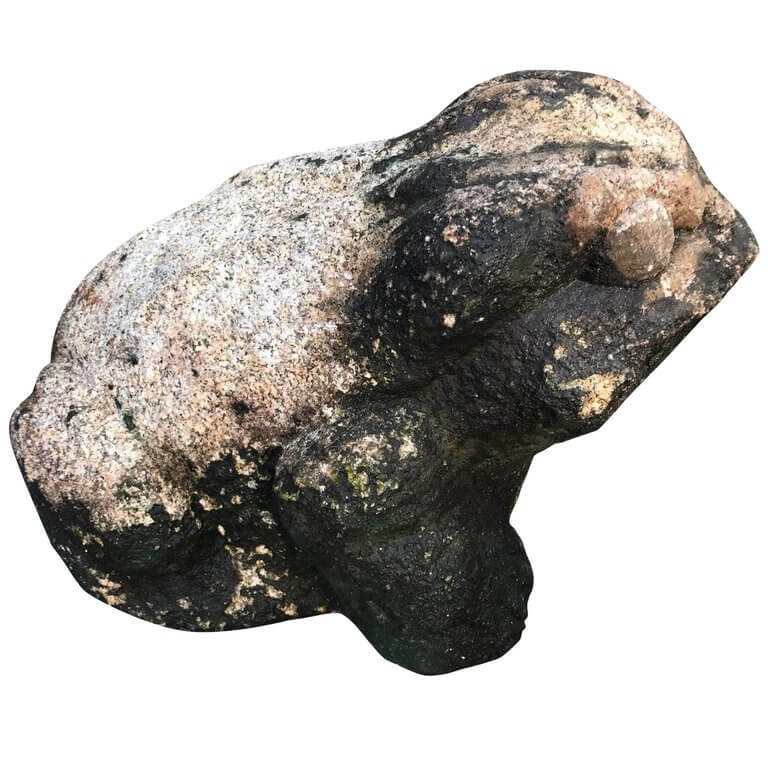 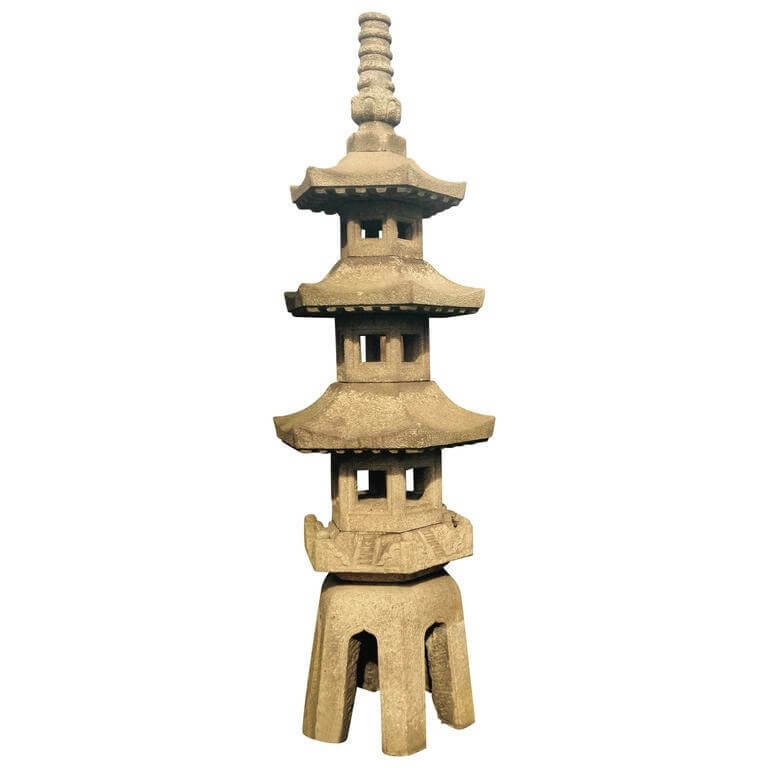 Often carved from granite stone, today’s vintage survivors serve as fashionable aesthetic elements in modern day Japanese and Asian inspired gardens. 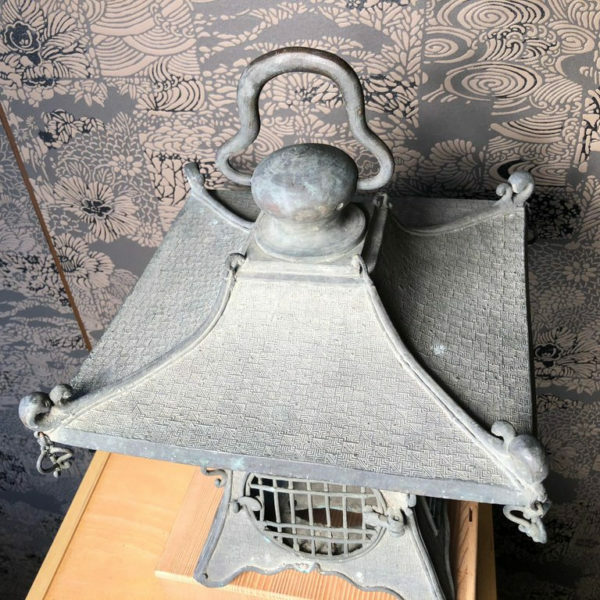 Today, during festivals and ceremonies, rice paper is often cut to fit stone lantern windows to increase reflection of candles placed inside them. 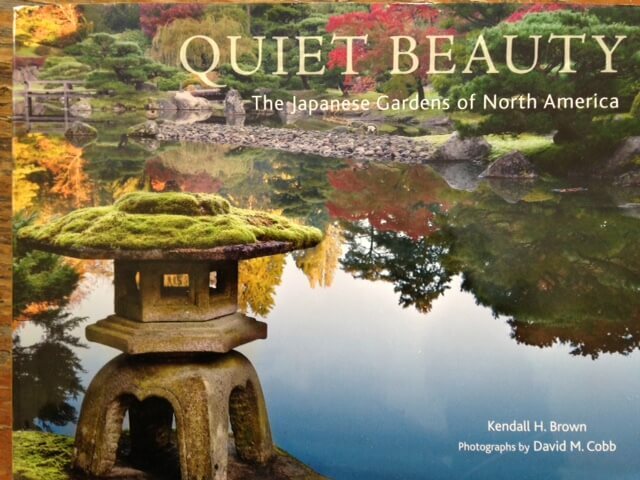 Soon these paper lenses disappear and for one special evening and event, the glow is surreal.